Having now read some of the blog posts at the (new) Association of Catholic women bloggers, I must apologise to the good lady who asked me to join it. At the time I saw it as a kind of breakaway movement from the proposed Guild of Catholic bloggers which has been discussed on the Herald blog site, and felt that we needed to be united, not divided. What I did not appreciate, in my haste to reject the proposal, is that it is not a question of ‘Either/Or’ but of ‘Both/And’. The Church is rich, diverse, and we Catholics have a multiplicity of different ways of communicating our common faith; thank God for it. I posted this on my blog today but thought I would post my first post here! I am delighted to be associated with the "Association of Catholic Women Bloggers! I must explain that I am a priest from the Archdiocese of Birmingham. I qualify for the blog via invitation! I hope to post on here every now and again and I enjoy the inspiration found here so far! The Visitation Life is about the journey that anticipates the destination. There is an excitement about arriving. I remember with fondness many holidays spent with a good friend. Arriving at the Hotel, getting checked in and sitting down in the room brings a great satisfaction, now the holiday begins! 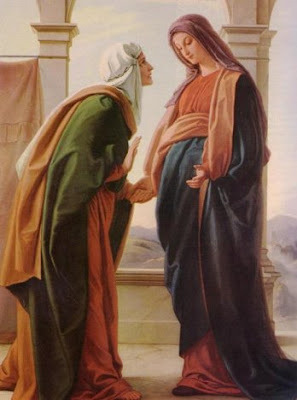 Today is the feast of the Visitation of the Blessed Virgin Mary, which recalls Mary's visit with her cousin Elizabeth. This event is also the second joyful mystery of the rosary -- the first being the Annunciation. 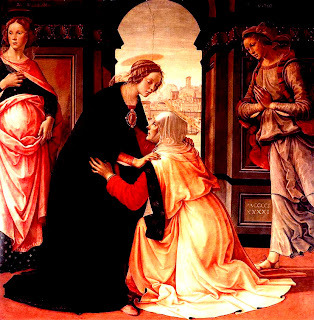 Elizabeth had been barren all her life, but in the Annunciation, Mary learned that her kinswoman was miraculously expecting a child in her old age. Upon hearing this good news, Mary fervently desired to share in Elizabeth's joy and serve her during the last part of her pregnancy. So she went "with haste" to visit Elizabeth and remained with her for three months. 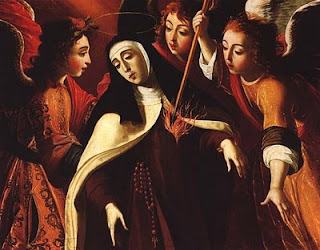 heart speaks unto heart: Devotion to the Sacred Heart of Jesus: "I'm using ' Love Peace and Joy ' by Very Rev Andre Prevot, Devotion to the Sacred Heart according to St Gertrude. ( TAN publications ). Ther..."
This is the cause why we are not at rest in heart and soul: that here we seek rest in things that are so little there is no rest in them, and we do not know our God Who is all mighty, all wise and all good. For He is true rest. No soul can have rest until it findscreated things are empty. When the soul gives up all for love, so that it can have Him that is all, then it finds true rest. For He is endless and has made us for His own self only, and has restored us by His blessed passion, and keeps us in His blessed love. And He does all this through His goodness. 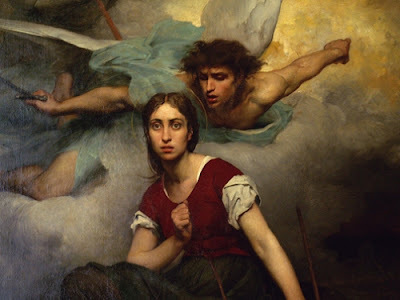 Today's saint is the valiant warrior Saint Joan of Arc, French national heroine, who was born in Domremy, France, 1412 and died in Rouen, France, 1431. When she was about 13 years old, Joan began to hear the voices of Saints Michael the Archangel, Margaret of Antioch, and Catherine of Alexandria, urging her to free her country from the English. Joan’s visions told her to find the true king of France and help him reclaim his throne. She resisted for more than three years, but finally went to Charles VII in Chinon and told him of her visions. After overcoming opposition from churchmen and courtiers, she was given a small army with which she raised the siege of Orleans on May 8, 1429. Carrying a banner that read “Jesus, Mary”, she led the troops into battle. She followed the famous campaign of the Loire during which the English were decisively beaten, and Charles was crowned at Rheims, on July 17, 1429. Cry out to God. With joy? What a blessing to find a community of Catholic women, interested in sharing faith and life in such a beautiful and public way. This morning at Mass, I was moved almost to tear at the Psalm. This rarely happens to me. I am not one prone to public emotion, but there you have it. I am pregnant, and perhaps more hormonal than usual. What was the Psalm that moved me to tears? 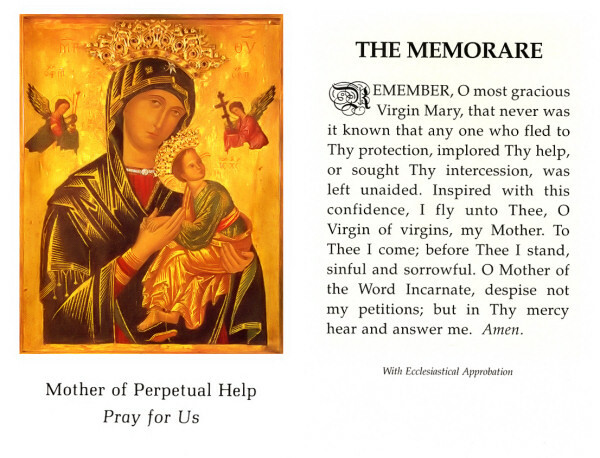 This popular prayer, a favorite of many Catholics, dates back to the 15th century and takes its name from the first Latin word of the prayer, "memorare," which means "remember." The Memorare is of unknown authorship, although it has been attributed to St. Augustine (354-430), St. John Chrysostom (c. 347-407) and, with more reason, to St. Bernard of Clairvaux (c. 1090-1153). St. Bernard's sermons on Mary were famous, and it was his Cistercian monks in the monastery of Citeaux in the 12th century who popularized the name "Our Lady" for Mary. The Memorare has also been attributed to the French cleric Claude Bernard (1588-1641), known as the "poor priest" of Paris, whose homilies contain passages that echo its words. The following advice was given by Saint Teresa of Ávila, to parents. She wanted them to be careful when permitting their daughters to enter certain religious orders which gave the women too much freedom*. "... Let them be prepared to allow them to marry far beneath their stations rather than put them into convents of this kind*. Unless they are very devoutly inclined and God grant that their inclinations may lead them into what is good!..." Quote source: The Autobiography of Saint Teresa of Ávila. O My God, I believe in Thee; do though strengthen my faith. All my hopes are in Thee; do Thou secure them. I love Thee; teach me to love Thee daily more and more. I am sorry that I have offended Thee; do Thou increase my sorrow. Vouchsafe, O my God! to conduct me by Thy wisdom, to restrain me by Thy justice, to comfort me by Thy mercy, to defend me by Thy power. To Thee I desire to consecrate all my thoughts words, actions and sufferings; that henceforward I may think of Thee, speak of Thee, refer all my actions to Thy greater glory, and suffer willingly whatever Thou shalt appoint. Lord, I desire that in all things Thy will may be done because it is Thy will, and in the manner that Thou willest. The unusual bouts of rain in the dry season have contributed to the rapid blooming of poui trees across the country, creating a breathtaking sight. The poui, one of my country's (Trinidad and Tobago) most spectacular trees normally flowers a brilliant yellow or mild pink between April and May or nearer to the middle or end of the dry season. Whenever the poui tree shed its leaves in the dry season and a shower of rain occurs, usually a few days later they start to flower. 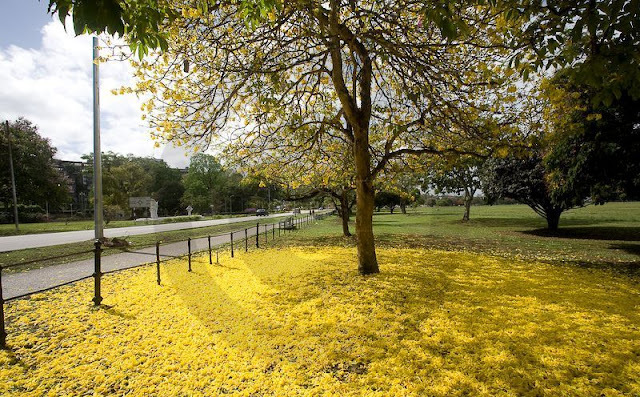 When in bloom the yellow poui creates a carpet of yellow flowers especially around the Queen’s Park Savannah and on the hills of St Augustine. There are two species of yellow poui—yellow and black, while the pink specie, native to Venezuela, can be seen in abundance up the Islands. I always look forward to my first sight of this unusual tree and the enormous pleasure it gives me. A truly splendid example of nature at its best. The Poui tree is surely a gift from God. 2. 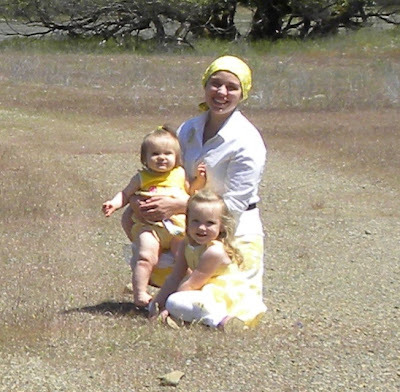 Being pregnant, though miserably uncomfortable, I was able to experience something beyond my control and learn patience and endurance and prayer. 3. Seeing my beloved witness the birth of our children one by one, I was able to fall in love with him all over again with every tear of joy he shed. It was beautiful and unforgettable. Quite a few ladies have asked about/suggested names for the blogging regency lady pictured above. I don't know were Jackie got the picture so she may have a name already but I don't mind if you guys wish to have a little poll to see what name to use if she hasn't got one already! Just a quick word about posts Jackie and I decided if one person doesn't think something is truly in the spirit of charity or is felt by someone not to be, or is too much of a propaganda piece for any particular business we will remove it.We all have our own blogs for that sort of thing if we really want to post them, but here we want to be charitable, loving and supportive. 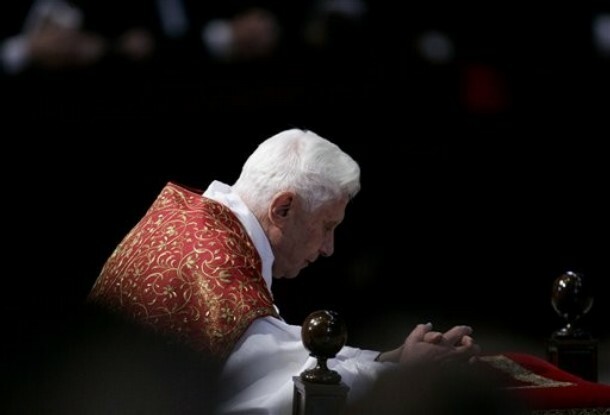 ‎ "We must learn to spend more time in front of God, before the God who has revealed himself in Jesus Christ; we must learn to recognize in silence, within our very selves, his voice that calls us and leads us to the depth of our existence." I have been following this new blog with much interest. What an honor to be here with all of you. Mahalo for asking me to join. 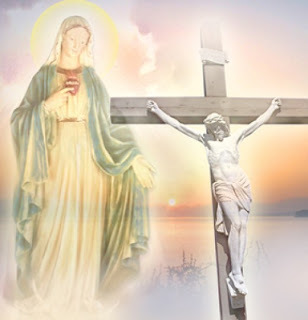 -his recently widowed mother who was lonely following her husband's death: "Love these days entirely recollected in God, like holy Anne who never left the temple...Prayer is the best medicine which conquers ever pain." -a young lady contemplating the religious life: "A vocation and perseverance are special favors from God and can be obtained by prayer only. Therefore, I advise you to pray continuously not only when in church, but also when at home and at your work. But at the sacrifice of the Mass and after Holy Communion prayers are most powerful." Little Flower's Crown of Roses...: Morning and Evening Prayer...: "One of the things Secular Carmelites are asked to do is pray the Liturgy of The Hours, especially Morning and Evening Prayer. I have bee..."
Inspired by post below! The book of the film is excellent..
Should Nuns still wear these? Inspired by http://domusbirettarum.blogspot.com/ which is good Catholic fun I thought surely the men didn't have it all their own way, didn't Nuns used to wear some really groovy wimples, how about sharing a few pics of traditional sisters? Here is one I found with a quick google. I am happy for you all to help Marion out...if there are suggestions to make do go ahead..it's your blog! Oh & do spread the word amongst your friends..God bless. Powers was a Carmelite Nun and Poet. I believe she died in 1988. Her poems are really beautiful and if you are not familiar with them, I urge you to read a few! Imagine someone bought you a bunch of flowers, nicely wrapped in pretty paper with a big bow, and when you unwrapped them, you found a bunch of nettles and stung your fingers... :( You wouldn't be very happy, would you? The Church is alive & flourishing! A nice article (link above) regarding your children's Religious Education and school year winding down and how to keep fresh and close to God. My book: A Cathlolic Woman's Book of Prayers is mentioned. I'll be back soon to introduce myself to the group. A true story;the retelling prompted by Jackie's post below it. This happened to me 20 years ago, I was with a group of mothers and we were organising fund raising for the secular county primary school our children all attended. This was several years before we became Catholics,but we were still a Christian family and attended a local chapel with Sunday school for the children. It was quite a lively group and that day I had my youngest child ,my daughter aged 2 with me. One of the "ladies" in fact several of them were given to colourful language, and noticing my discomfort at the effing and blinding one of the group pointed out that we had a young child present and people should watch what they said. Moving & food poisoning & posting on wrong blog! Well the AWCB has been here for a couple of weeks now, time to check a few things? 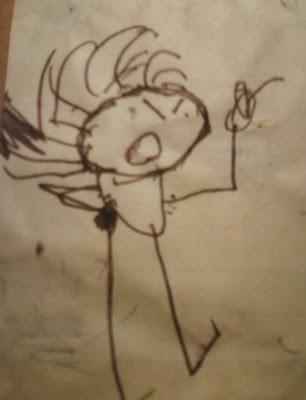 Jackie and I would like to see that this blogg continues as it is ,so far so good, unless you think otherwise! and were ever possible posts should be all your own original writing, we want to share our own feelings and ideas and support each other. The GBTB have not yet got back to me about posting :( so although I had hoped to add something I cant yet do so. I should like to make it clear however that I am not a feminist nor am I anti-men (3 sons) and I don't mind the picture they have as a header, personally as a former student art teacher i just love Medieval art and appreciate it for what it is, this lady doesn't look for token anything and I am more than happy singing hymns that use the word mankind etc and mean all of us! Recent events in my life have highlighted areas of sin, and the need to go to confession on a regular basis. I know we are only required to go to confession once a year, but if I followed that, I would spend 11 months of the year crawling on my knees weighed down by a burden of sin! I often feel I am the only one who regularly goes to confession during the Saturday slot at my parish...no one seems to go in before or after me, even though I try hard not to notice. I must look like the most sinful person in the Parish! I have always tried to make a regular communion, once a month, more often if necessary, for the good of my soul. Whilst we don't need to confess venial sin, it is ultimately worth doing so for the grace of the Sacrament, and the conferring of God's forgiveness, love and strength. Going to confession is like stepping in a power shower after a hot and dusty day. One feels clean and fesh afterwards, and resolved to make amends and turn back to God. Her master, seeing his goods multiply, as it were, in her hands, gave her [St. Zita] ample leave to bestow liberal alms on the poor, which she made use of with discretion, but was scrupulous to do nothing without his express authority. From: St. Zita “Without his express authority”. Saint Zita was always careful to respect and obey the authority of her master. Wise words for all of us, not least in respect to the authority of our Mother the Church. As Catholics, we are called to obey the Church. There are many who would disagree with that statement, and espouse the right of the faithful to question and sometimes even disobey. The trouble is, when we do that, we are no longer the faithful. LAST WELSH MARTYR: TIME FOR ANOTHER BOOK GIVEAWAY! this blog promotes St David Lewis and its a story worth knowing. Catholicseeking: St. Louis de Montfort on The Blessed Sacrament: "'In the Blessed Sacrament God loves us so tenderly, He empties Himself completely. O, who could believe it? Withholding nothing, ..."
I'm very much enjoying the contributions & I think it's great we have a forum to pray for each other. God bless. (I love to take photos of churches) I was thrilled to be asked to participate in this blog. I have had a few days of technical difficulties, coinciding with Blogger's meltdown, but I think we are all good now. I am humbled and honored to be here. Let me introduce myself. I call myself a Catholic Revert. I was a cradle Catholic. I came from a family with two Catholic priest uncles. I went to Catholic schools until I was in 10th grade. As a child, I wanted to be a nun. When I became a teenager, I hit a brick wall and turned left... I went off the deep end and stayed there for a while. I left the church and became a detractor of most things Catholic (but kept a Rosary, and prayed it relatively frequently). At the age of 39, while going through another divorce, a friend very frankly said to me "Don't you think it is time you went back to church?" I couldn't argue with her since my life was clearly a mess. I was terribly afraid to go back, but I did. The Image of the Good Shepherd seems very masculine, but as a women and mother I think the idea is very close to my role in the family, after all what mother would not give her life for her children and always puts their best interests before her own? It is a hard road and fraught with pitfalls and nothing really prepares one for it, although watching and learning from a good role model helps! So I thank God for the role models of my Shepherdess my Mother and my Mother in Law and above all for the Heavenly Mother and The Good Shepherd. Putting on our Spiritual Armor! Lord, teach and guide us to be the women YOU intended us to be! I thought you might enjoy this hymn just posted on my blog Lead Kindly Light. They talk about the bloggers "guild" being inspired by the Holy Spirit. I like to think the same Spirit is leading us ladies in true Christian fellowship & support. There is room in the world for all of us in the Universal Church! Blessed John Henry Newman of course wrote the hymn. More of him soon & his beatification, which we were fortunate enough to attend. 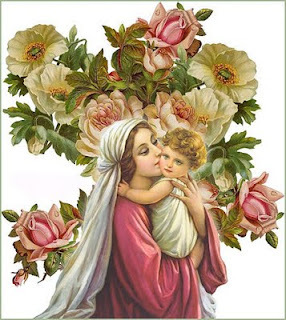 Little Flower's Crown of Roses...: God's little dwelling place....: "This morning I was praying the Liturgy of the Hours and read the following. It touched my heart so, I thought I would share it. It is take..."
LINEN ON THE HEDGEROW: AT LAST! THE GUILD OF BLESSED TITUS! LINEN ON THE HEDGEROW: AT LAST! THE GUILD OF BLESSED TITUS! : "I think that, by now, I must be the last of the bloggers present at Westminster Cathedral's meeting last Saturday to make a comment. I think..."
so if it cant be called the Guild of Catholic Bloggers can we be AWCB ? ?probably not Why and what should we do? I haven't noticed an any activity by crack squads of prelates stopping us yet,so I presume no body has noticed us yet.Advice please! I have been asked to blog along with all of you and am very happy to do so! But, first I'd like to introduce myself! My name is Lindy and I have been happily married for 29 years to my hubby, Steve and we have 2 great sons...Nick is 28 and Alex is 23. I am a member of the 'Divine Will' chapter of The Secular Order of Discalced Carmelites and have been learning so much! Mass, the Holy Eucharist and Adoration are very important to me! I would love to meet others who are also Secular Carmelites!! I am also a facilitator for the Women of Grace Series, and am enjoying the fellowship that the program offers! I posted a short introduction last night, but it disappeared due to recent Blogger troubles. Just watch, it will probably turn up again now I'm re-posting! I'm really sorry that we seem to have lost some of the excellent posts. Blogger state they will re-post them but so far they are still missing. What a time to set up a new blog! That said we have already some excellent fellowship & I urge you to spread the word to your friends & fellow bloggers. If you or they could send your emails to Marion on Marion Banks -Wilkinson m.bankswilkinson@btinternet.com & give blog details if they have one.I'm back to packing now! Hot news from the Bishops conference. this blog is well worth a visit. and I am known as diddleymaz here and on facebook by my proper name Marion Banks-Wilkinson . I'm a 51 year old English woman who lives in south wales with my husband of 30 plus years and assorted family and pets. Please Ladies no rubbishing others, but lets all pray for the success of each other and this Blog if God wills it! So here we have an Association of Catholic Women Bloggers and why not? as long as there is a Girl Guides and a Scouts, a Union of Catholic Mothers and a Rosary Confraternity, its OK to have men or women only clubs if that's what people want! We are not talking about stopping anything ,just starting things. http://areluctantsinner.blogspot.com/search/label/Guild%20of%20Catholic%20Bloggers if they want me..if I can contribute anything to both I will do so and why not? It doesn't matter what its called or who is "in"it if its legal, and in keeping with Roman Catholic doctrine and I enjoy reading and so do others. Lets just go for it! too much thinking is the downfall of many ,and while I do think a little planning is good I also love spontaneity too. So if I feel moved I will post and if I'm interested I will read. If its not my thing I may comment or just disappear but lets just get on with it. Hello to you all, and thanks to Jackie for inviting me to be a contributor to this new and exciting venture. I have also enjoyed reading everyone else's contributions so far. I am an almost 50 year old (just a few months of my 40s left!) Catholic wife, mother and grandmother (or "Mamar" as I am known) to a husband of 29 years, 2 daughters and 3 blue grandchildren and 1 pink ;) I work part-time as a counsellor in a Further Education College, but my heart is fixed firmly on God, family and home, where I seek, like Brother Lawrence, to find Him amongst the pots and pans. I love cooking and baking and creating a home which is hopefully one of welcome and warmth. As a Catholic and mother of an artist student with a speciality in photography, I looked forward to reading “Framing Faith” a book by author Sarah Piccini and photographer Ivana Pavelka. I was not disappointed. It tells the story of ten churches and the migrants and their communities that fame the history of the churches in. It is an absorbing and well written book which will not be out of place on any bookshelf for personal reading and reference or even your Catholic Book Club! There is such a rich history and architecture that you cannot help to become involved in the personal histories attached to the churches and an opportunity to look at the architecture in a fresh light. The book is also interspersed with quotes from scripture and makes an enjoyable read. The bodyguard of high-profile televangelist Joyce Meyer has gone on trial accused of strangling his wife and two young sons so he could marry his mistress. Prosecutors claim Christopher Coleman, 34, feared he would lose his $100,000-a-year job if he split from his wife. But his lover, Tara Lintz, revealed to a court in Illinois he had promised he would serve divorce papers on May 5, 2009 - the same day his family were found murdered in their beds.